US equity indexes closed broadly weak, sp -32pts @ 2127 (intra low 2120). The two leaders - Trans/R2K, both settled lower by -1.9%. 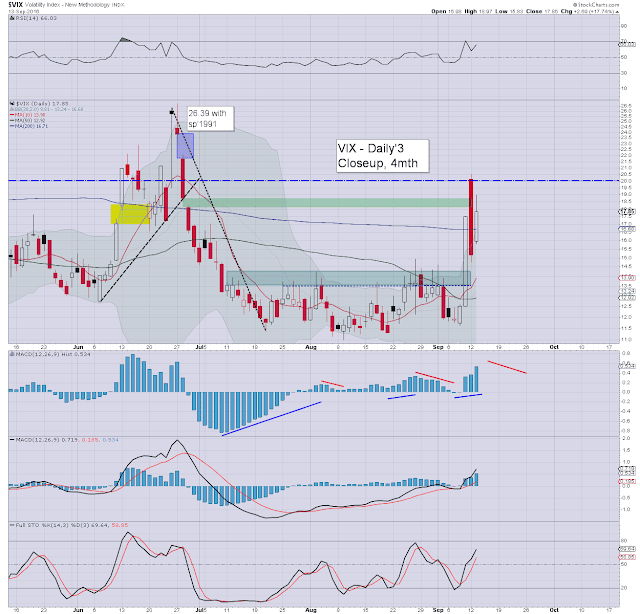 VIX settled +17.7% at 17.85. Near term outlook is for another lurch higher, but with increasingly subdued chop into early next week.. ahead of the FOMC. Things certainly remain a little wild. After two months of micro chop... now we get 3 consecutive days of rather powerful price action. 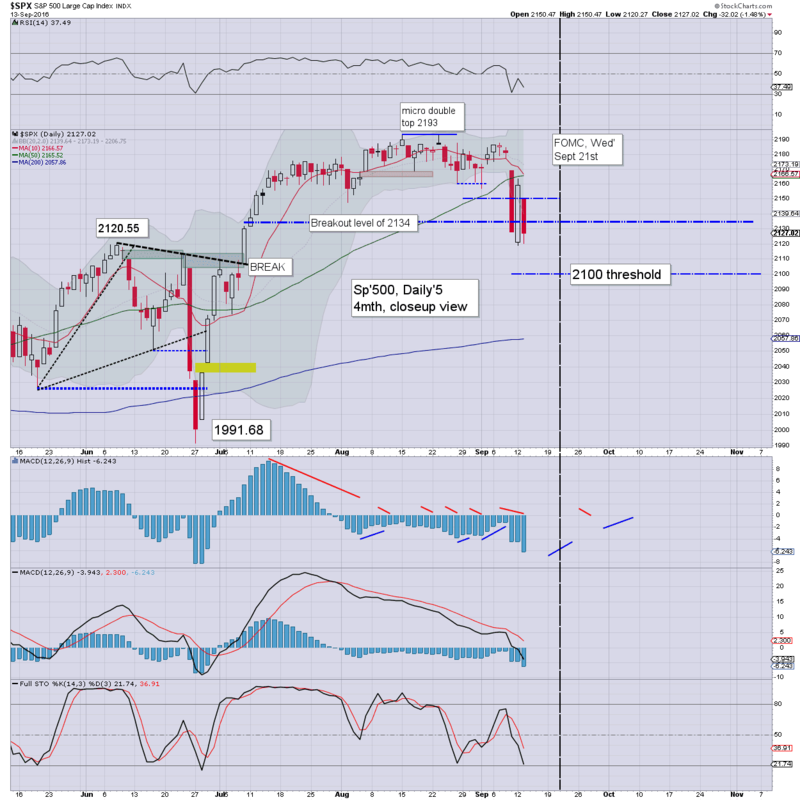 Short term.. we've a clear double low of sp'2119/20.. with VIX maxing out in the 19/18s. Each day closer to the FOMC announcement, the market will be more inclined to be subdued. Yet... Thurs/Friday will see a wheel barrow of econ-data, and Friday itself is a quad-opex.. which by definition would likely see increased vol' and price action. So.. its a bit of a messy picture. Things will get simpler once the FOMC is out of the way. Soon after of course... Q3 earnings.